Groupon has a new Flash Sale promo code! Save up to $15 off your local deal today with the promo codes below! 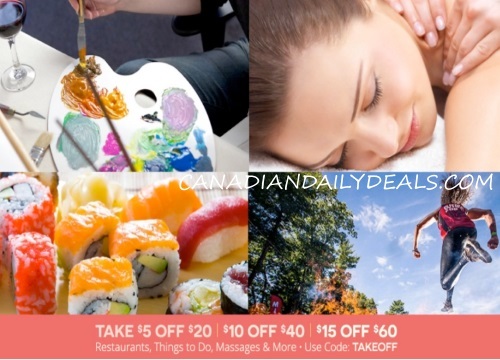 Save $5 off when you spend $20, $10 off when you spend $40 or $15 off when you spend $60 on restaurants, things to do, massages and more. Enter the promo code TAKEOFF at checkout. Offer is valid until July 21, 2016. Max use 3 uses per customer.